The 2014 baseball season is now a week old, so it’s time to recap the highs and lows from the first few days at the ballpark. We do this because the NBA and NHL playoffs haven’t started yet and I was unceremoniously knocked out of my NCAA tournament pool after the Elite 8. Not that I’m bitter or anything. 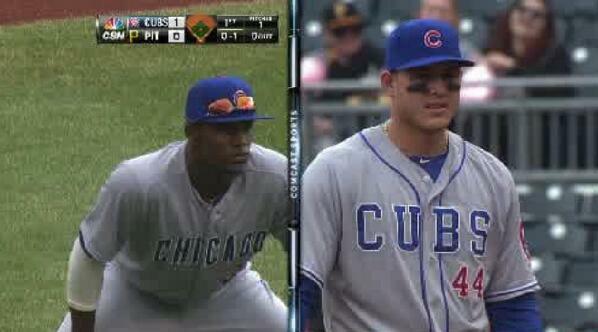 As usual, we can expect a nation of classy Cubs fans to visit Wrigley Field this spring and summer. Sitting in the Wrigley bleachers is a valid excuse for almost any sort of inappropriate behavior. 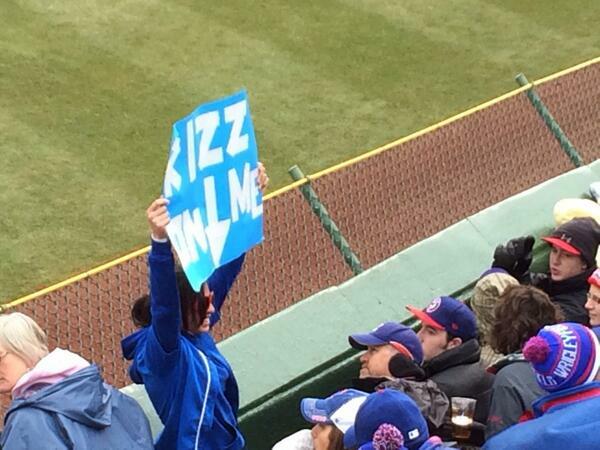 Created a sign with an X-rated pun about Cubs first baseman Anthony Rizzo? It’s the bleachers! Vomited uncontrollably during batting practice? It’s the bleachers! Accidentally spilled beer on a 10-year-old from the western suburbs? It’s the bleachers! The North Siders started the season on a strong note, losing two of three games in Pittsburgh with outfielder Junior Lake wearing the wrong road jersey. This whole incident reminds me of when I forgot my junior high basketball uniform and had to wear a girls jersey for a game. Cheer up, Junior. People will forget about this in 10-15 years. It’s not like things live on the Internet forever. 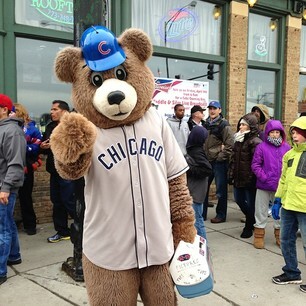 Back in Chicago, with the arrival of Clark “The Pantsless” Cub, “Billy” is now the unofficial mascot the organization is trying to eliminate. The only problem? 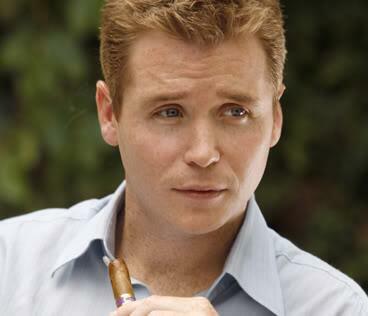 He’s still very much around, and even got into a Wrigleyville bar fight earlier this week. Harry Caray probably would have had fun with all this mascot nonsense. Since the legendary broadcaster’s death, the team has brought in “celebrities” to sing the seventh-inning stretch. 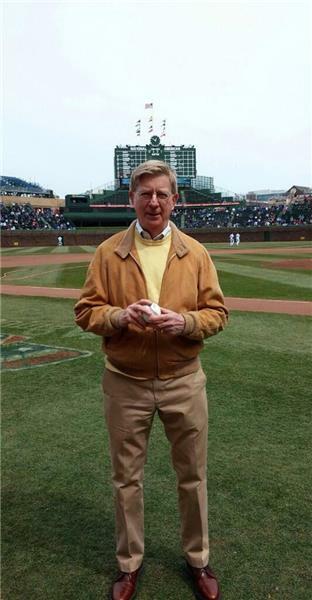 I can’t think of anyone who appeals more to the young fan base than venerable author and political commentator George F. Will. But enough about the Cubs. At U.S. Cellular Field, another season began with Hawk Harrelson doing play-by-play on TV. I’ve never been a fan of Hawk, but apparently the dislike runs much deeper on Twitter. Hawk Harrelson complaining about biased umps makes @whitesox games unwatchable. The people have spoken. On a related note, I’m sure he’s a nice guy, but longtime Cubs announcer Len Kasper is also terrible and has the best job in the league. Basically, what I’m saying is, you should be making bad decisions and exploring the city this summer instead of watching baseball on TV. And finally, my only Bulls nugget this week: The team officially released the first NBA player who also represents Vincent Chase. Johnny Drama and Turtle are moving out of their West Loop condo.